To start with, Daddy Freeze is a con artist, a greedy punk who makes money through trickery. 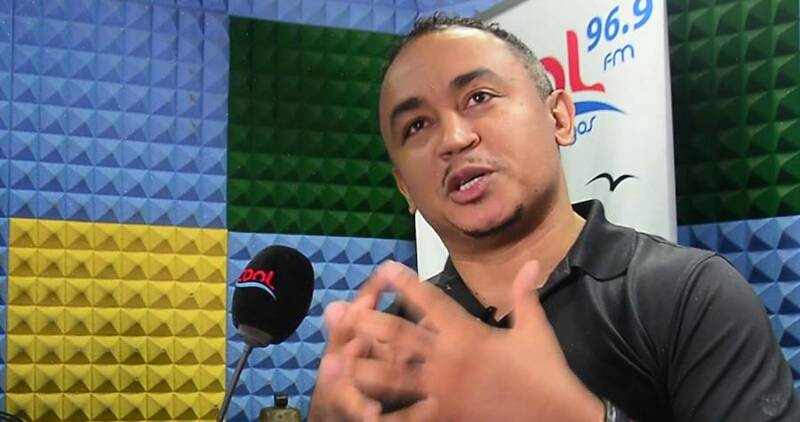 As a radio presenter, Daddy Freeze charges musicians huge sums just to play their music on air. Note: this is against rule of the radio station where he works. In fact, the act is called Payola which refers to an illegal practice of payment or other inducement by record companies for the broadcast of recordings on commercial radio in which the song is presented as being part of the normal day's broadcast, without announcing that there has been consideration paid in cash or in kind for its airplay. My friend, a musician recounted his ordeal in the hands of Daddy Freeze to me. He was forced to jettison the idea of having his song played on Daddy Freeze's radio station due to the exorbitant amount he charged his team. This is even as a large inscription on the wall of the building prohibits OAPs from charging money to play songs. How ironic! The worst is that he doesn't charge what up and coming musicians can afford; his greed makes him to go for very high figures, all for his evil pocket. As a con artist he always is, Daddy Freeze has justified himself for collecting money from artistes to play their songs using the guise of 'consultancy' after he was called out on Twitter. Consultancy for what? What is a musician consulting from a radio presenter like Daddy Freeze other than to give him his song to play? Is he a music guru, video director, song writer, producer or what for a musician to seek for consultation? If you say you charge people for consultancy, then spell out the services you will be offering because taking songs from musicians to play on radio cannot be 'consultancy'. Daddy Freeze is nothing but a dishonourable fellow with a twisted mentality. For every bad thing he does, he has a justification. In his small mind, he's a king that does no wrong. These days, when you listen to some radio stations, you wonder how the songs made it to the playlist - all thanks to Daddy Freeze and his co-conspirators. It is the height of foolery and hypocrisy that a man who dubiously siphons money from artistes in the name of playing their songs on air (which is totally against the rule of the station where he works) will have the effrontery to cast aspersions on clergymen who ask their members to pay tithe - an obligation gotten from the scriptures. Pause for a moment Daddy Freeze and allow this to sink in: You may be gifted in the act of oratory display, be an eloquent speaker, but those who see beyond the flamboyant maneuvers you display cannot be deceived - all are a mere bombastic dribbling to deceive the gullible. Do you Daddy Freeze even have a conscience? Or has it been smeared overtime by the many lies you've told yourself, that it is now a part of you?